Happy Valley Vineyard and Winery was established in 1999 with three acres of vines on land settled by D. Fye in the 1850's. The vineyard has more than tripled in size and consists of white and red cultivars that are well adapted to the continental climate of Centre County and to the limestone soils of their farm. Enologists state that "wine is made in the vineyard" so their goal has been to grow fine wine in the vineyard and to produce wines with distinctive varietal character. 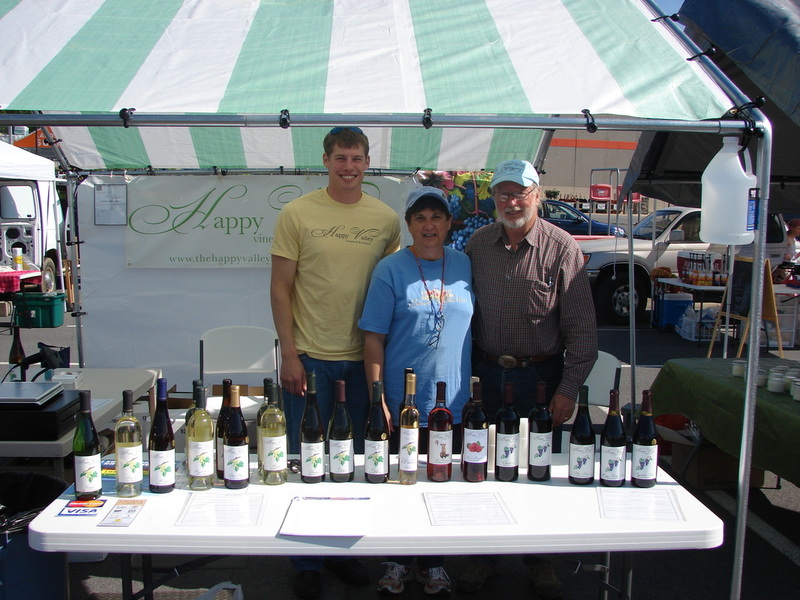 The North Atherton Farmers Market is proud to be a part of Happy Valley Vineyard and Winery's story, as the place where they were able to sell their first bottle of wine. In 2013, Happy Valley Vineyard and Winery celebrated their grand opening of their tasting room. Be sure to make a visit! 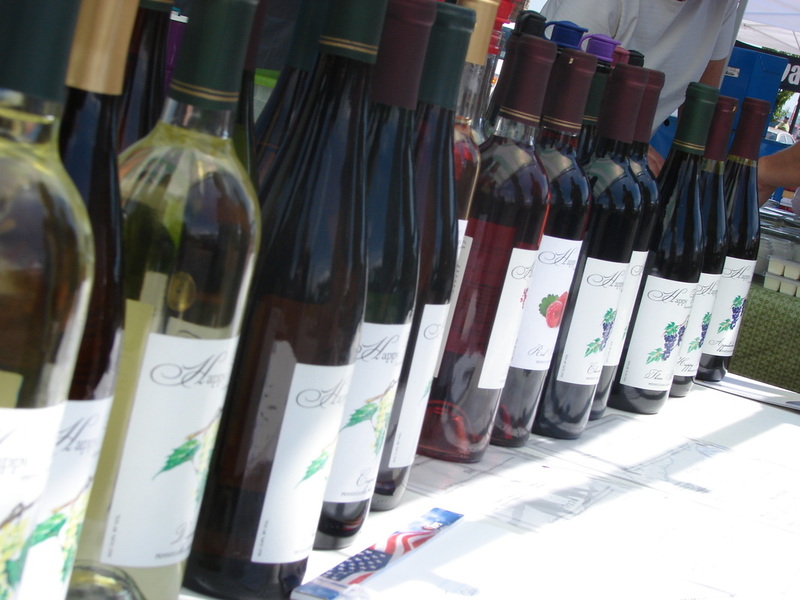 You can also find Happy Valley Vineyard and Winery on FACEBOOK!